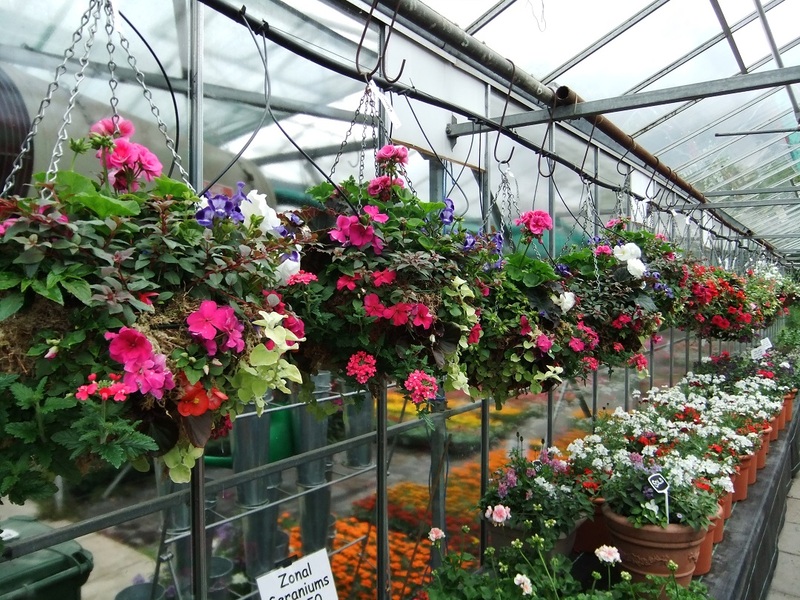 Please let us have you empty hanging baskets for refill as soon as possible. 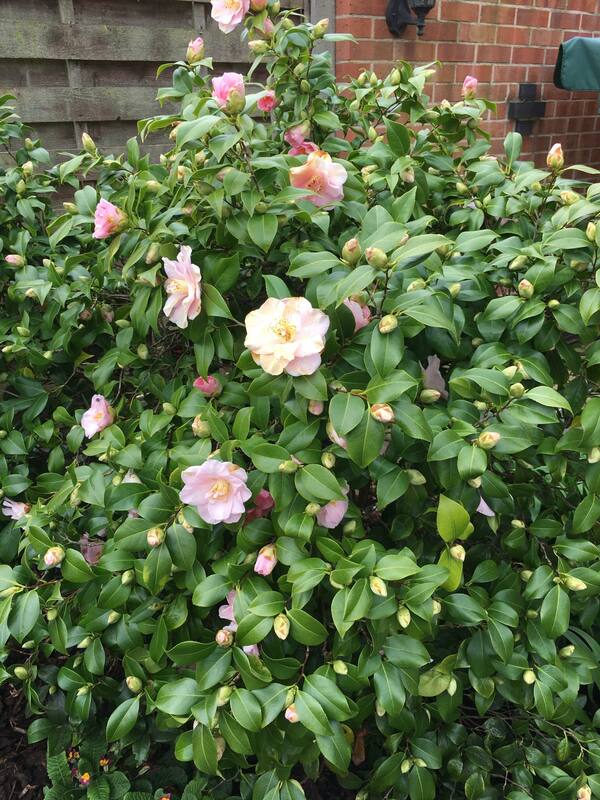 We stock a range of David Austin Climbers, Ramblers and Shrub Roses. 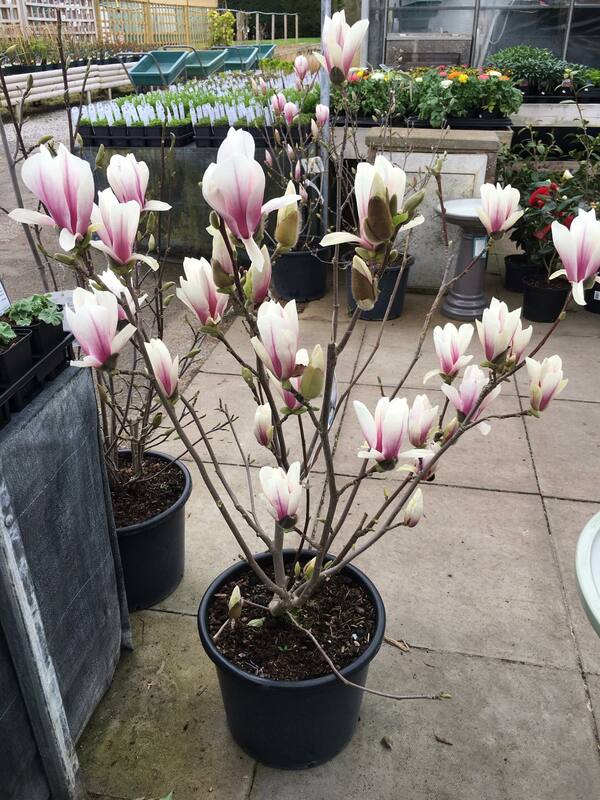 They are premium quality plants and would make a wonderful addition to any garden, whether as a gift or a treat. Our stock listing is up to date as at 17 March 2019. 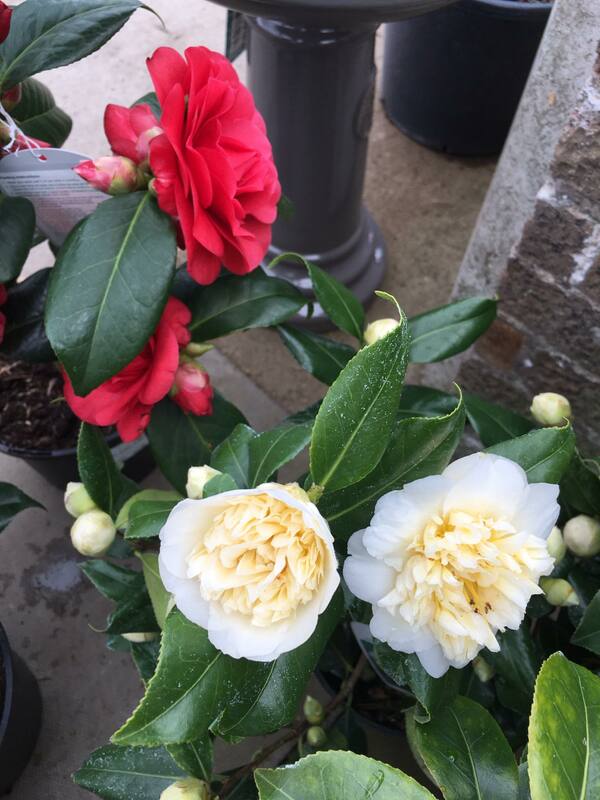 Our overwintered shrubs and perennials are bursting into bud and are out for sale. We've lots of choice and we have many more growing for into May and June. Now is a really good time to plant as everything starts to grow rapidly as the days get longer. 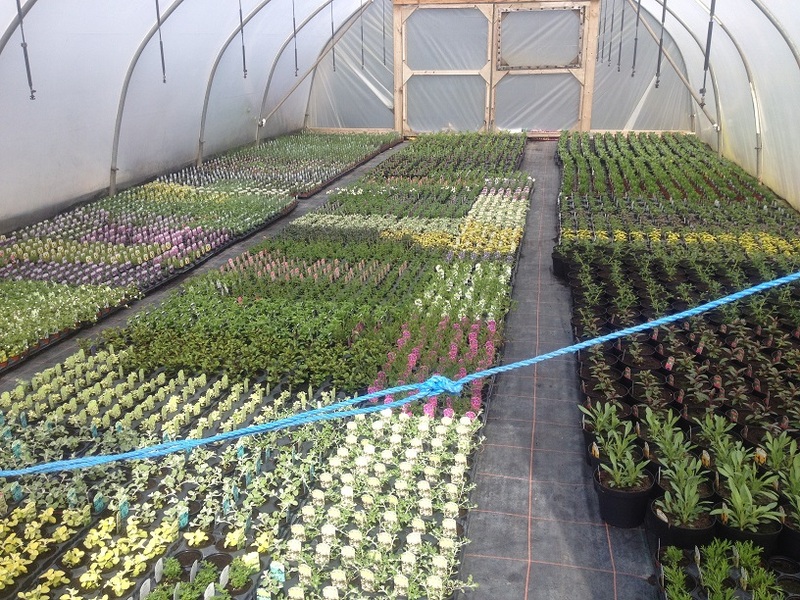 The spring season starts for us by potting up over half a million plants for summer colour. These plants are available to buy, and we also use these in our bespoke hanging baskets and planted containers, you can be sure you are getting the best tried and tested varieties which we have carefully selected from experience. 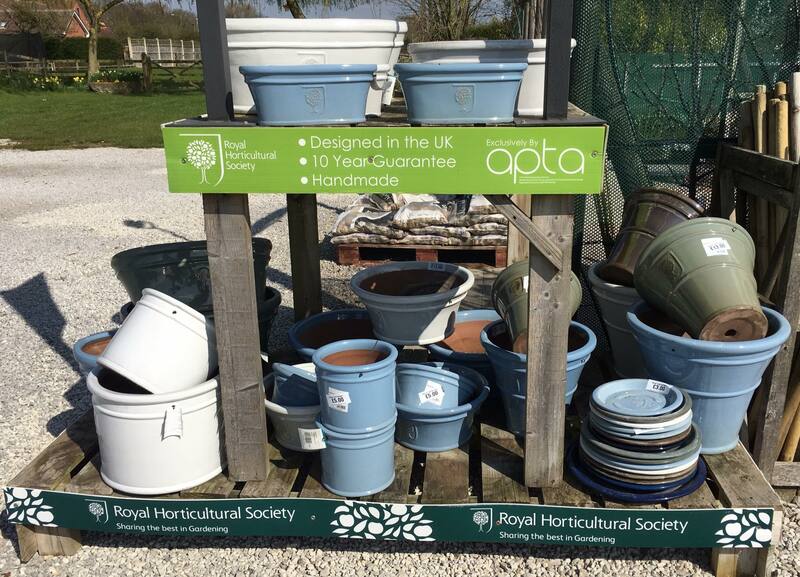 We supply over 700 bespoke baskets both commercially to hotels and pubs together with customer orders for domestic gardens. We are a small, very hard working hands on team and aim to please, if you are looking for something in particular, some help in deciding what plants will work for you, a co-ordinated summer hanging basket colour scheme, or some general advice, come to us and we will do our very best to help whatever your question. 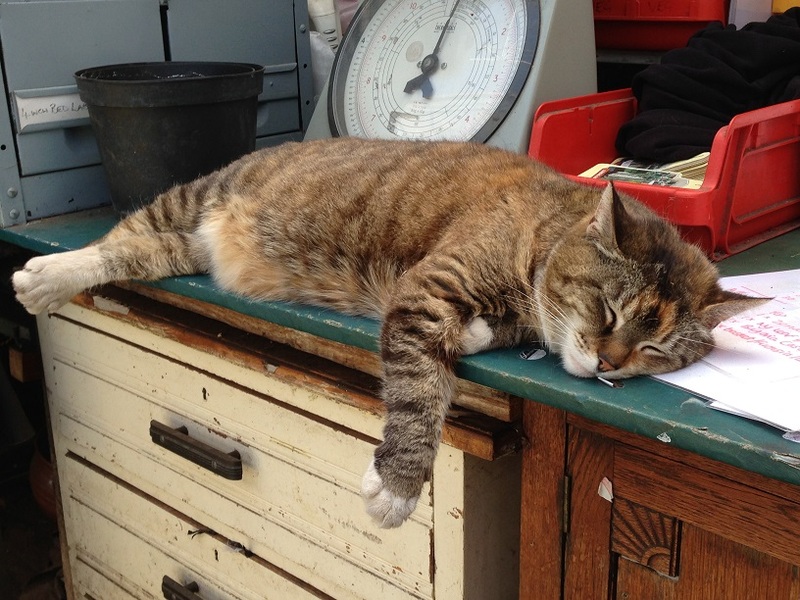 Marmalade the cat, ready for work!! Nursery News, Special Offers and Information. To keep up to date with what's happening at the nursery, have a look at our Facebook page. If you like what we do, please 'Like' us on Facebook. Your support is really valued and liking us on Facebook lets people know about us.